Didi’s been working on an “adaptor” to make it easy for exchanges to add NXT. They are used to the Bitcoin blockchain and have been afraid or unwilling to do the tech themselves and connect to the Nxt network. This should help. NxtWallet don’t list all asset anymore. You have to search them by ID. It’s meant to be a safety improvement, and makes the client more neutral. There are pro’s and con’s, if you don’t like it, use another client. Amsterdam conference was a success, and PayExpo is next. The quite expensive payment processor conference was crowdfunded by the Nxt Community after lots of discussing. It holds huge potential for embarrassment or success for Nxt. Salsacz organized the funding as middleman for TxtCoinsNow. It’s a fantastic opportunity that should not be missed. No BTC to confuse the picture. 3000 business people. 5 mins presentation, 10 mins to show Nxt as a powerful payment network. Who is going? Salsa, TxtCoinsNow, Cointropolis, The-Lawyer-of-Nxt. There’s still a free ticket left. TxtCoin was going anyway and offered to get Nxt in for a good price. TxtCoins is pretty new to Nxt but chose to use Nxt for his product. Therefore he also wants to market Nxt, and donated 95K + NxtCoin shares and hours of work for making Nxt crypto currency partner @PayExpo. Paid for hotel in Vienna and for free tickets to this conference as well. TxtCoinNow will be a payment platform that allows people to use cryptos without accessing the internet, only by using text messages on mobile phones. 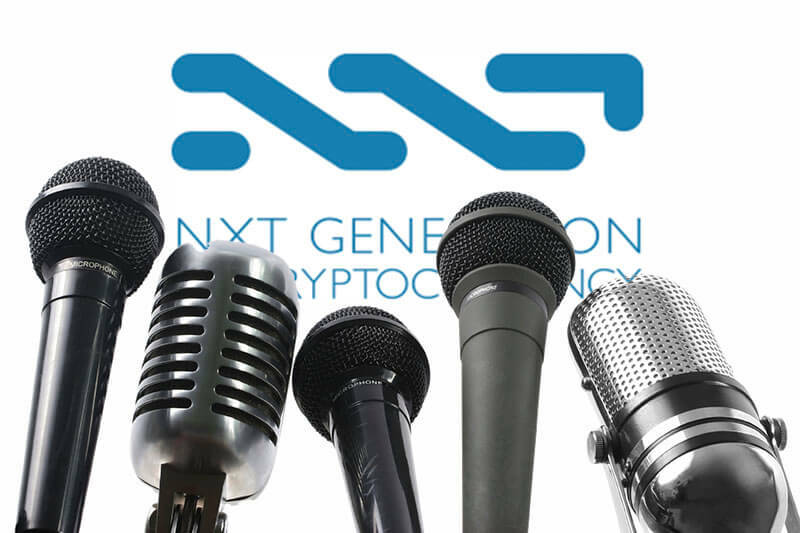 They will use Nxt to demo their product, and use it as bridge to other crypto currencies. Africa, Asia + other countries is their main market. The company is 4 years old. MarcDeMesel is interested to come and help speak at the booth. Will Skype Salsacz. * Washington DC conference. Tai Zen may attend. MarcDeMesel too. * Amsterdam crew is still working. Talking to the people they met, turning plans into reality “behind the scenes”. Lots of contacts have been reviewed and followed up. Closing deals takes time, contracts aren’t signed at the conferences but in the time that follows. * The ALIAS Exchange feature will be implemented in the next version of NxtWallet. It’s being tested on testnet. Nxt Corporate Design will be implemented in the client as well, but at the time Wesley is busy with Digital Goods Store, and he asks for help with this. [UPDATE: mrv777 is converting the psd design to html now, and is almost done!]. * mynxt.info will come up with a new version of the blockchain explorer, including AE. * Klee + Antonius is working on nxtblocks.info wallet + blockchain explorer, including AE list, AE explorer + AE statistics.